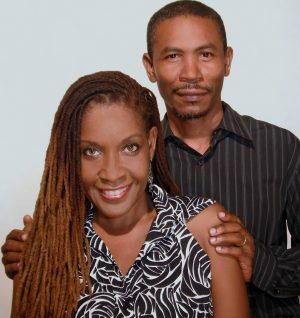 HAMA, the husband and wife team of Howard Allen and Mitzi Allen has been called the most prolific filmmakers in the Eastern Caribbean producing four feature films in ten years. Howard, the storyteller, writes and directs; Mitzi is the managing director and producer. All four of their feature films were screened during the 2012 Alliouagana Festival of the Word (AFW) with its theme of From Script to Screen. The Sweetest Mango (2001) – is a romantic comedy based on how the couple met and fell in love. No Seed (2002) – is a political drama, Diablesse (2005) – is based on Caribbean folklore, and The Skin (2011) – is a supernatural thriller based on Caribbean mythology. All four films have had success both within the Caribbean and at film festivals elsewhere. Currently in production is their fifth feature film, Deep Blue – an environmental love story. A strong component of HAMA’s independent work deals with cultural awareness and development. Their children’s television programme Pet Playhouse which was produced for the Antigua & Barbuda Humane Society was funded by the World Society for the Protection of Animals (WSPA) and the UNICEF funded teen programme Teen Talk was produced by HAMA for the Antigua and Barbuda AIDS Secretariat. HAMA’s television drama series, Paradise View was produced with the support of a Small Project Award for the development of HIV/AIDS programming from the Caribbean Broadcast Media Partnership on HIV (CBMP/HIV). The series is distributed across the Caribbean by the CBMP.